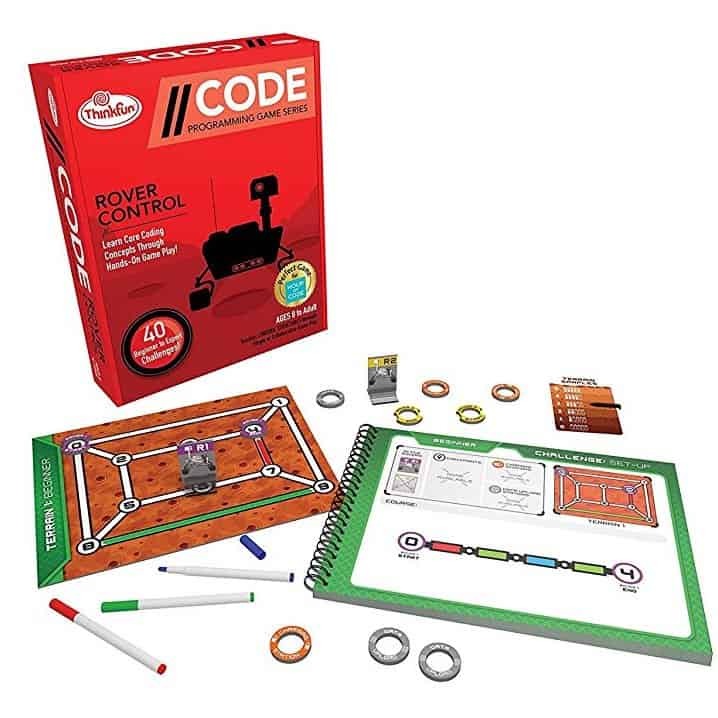 Thinkfun's //CODE: Rover Control game is a fantastic gift idea for ages 8 and up! Rover Control is the second in a series of games designed to build the mental skills needed to fully grasp the concept of coding. All of the games are screen free for a unique, unplugged play experience. Prepared for a programming space mission? In this 40-challenge game two Rovers have been sent to explore Mars. The trouble is, the Rovers are programmed to travel on color and most of the pathways were left colorless in a dust storm. You’ll need to call on your critical thinking skills to correctly color the pathways so the Rovers stay on course. Challenges introduce “decision points,” “loops,” and “increment instructions” as you progress–all advanced computational skills that are delicately embedded into a fun play experience and will have you thinking like a true programmer. Shop for CODE: Rover Control today!